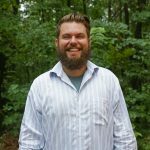 We couldn’t be more thrilled to introduce Mike Mrosko as your Camp Director this summer! 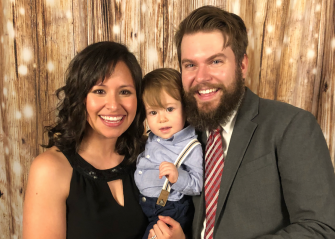 For those of you who have yet to meet our fantastic friend and long time full-time staff member, we’ve put together a little Q&A to help you get to know him better. Question: How many years have you worked at Camp Barnabas? Answer: My first year at camp was in 2005, the same year “Extreme Home Makeover” came. I served as a summer staffer that year and it changed my life. God really opened my eyes to disability inclusion ministry. Throughout the past several years, I’ve served in many different roles for Barnabas, which has allowed me to truly appreciate all sides of camp ministry. I’ve have absolutely loved every minute of it! Mike serving on summer staff in 2009. Question: What do you love most about serving as Camp Director? Answer: I love getting to build relationships with people and pointing others to Christ. As Camp Director I have the privilege and honor of doing all of this every day!Barnabas is a place that loves people for who they are and makes it possible for anyone, regardless of ability, to be included. 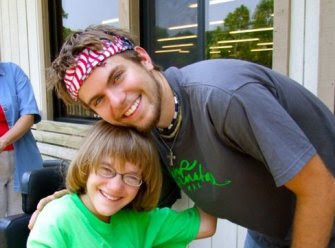 Question: You’ve seen a lot of incredible moments throughout your years at Barnabas, can you share any that stand out? Every summer is packed with moments that mean the world to me. Here is one that comes to mind: I once lead a group of campers on a campout trip. We played games, built a campfire, and ate more s’mores than we were supposed to. We laughed so much we cried. When I brought the group back to camp the next day, one camper asked if he could talk to me. He told me with tears in his eyes that he had never had a friend before, and that his classmates always distanced themselves from him because he was in a wheelchair. He asked me if I would be his friend. Question: A little bird told us your family is due for a new arrival this summer!? Answer: Yes! We are having our second child mid-summer. My wife, Cristal, and I celebrated our 7th year of marriage this year and we have one son named Augustus who is two. We couldn’t be more thrilled to raise our children at camp and share our lives with you. We’re so grateful for Mike and his service to Barnabas and we can’t wait to see him fill the Camp Director role next summer. Feel free to find Mike at camp this summer and say hi!